Quality built three bedroom, two bathroom townhouse that has excellent street appeal. This townhouse is in the front with direct street access and a pleasant easterly aspect. Downstairs you will find a large open plan design living area leading into a modern well designed kitchen. In the kitchen you will find an island bench with central twin bowl sink, dishwasher, gas cooktop and electric oven, ample cupboard space with a breakfast bar. From the living area is the family room with spilt system air conditioning and large light filled windows. There is a useable timber deck that flows to a fully fenced courtyard. 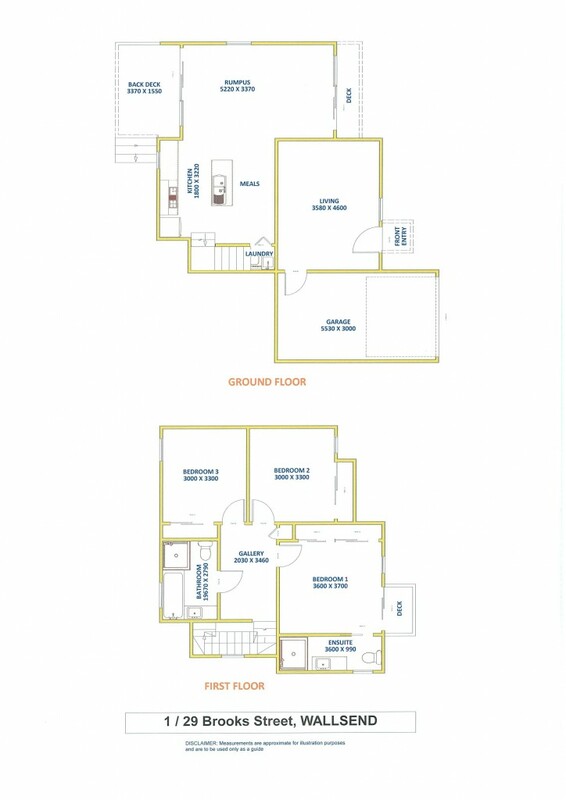 All three bedrooms are upstairs with the master bedroom having floor to ceiling built-in wardrobes, comfortable size ensuite and a private deck area. Bedrooms two and three also have built-in wardrobes. The main bathroom is upstairs with a full size bath and separate shower plus a large vanity. Set at the front of the block with a single lockup garage with extra parking at the front.